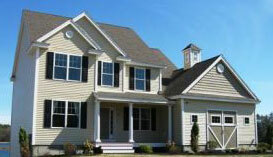 We strive to be your NH home builder of choice. Please contact us to schedule a meeting to discuss all the possibilities for your home building process. 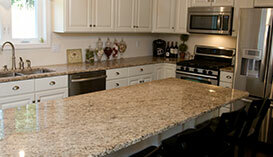 Building a home can be an exciting process with many choices and selections. We'll work with you to find out what your vision is and build you the home that fulfills all your dreams and expectations..
From Practical to prestigious... you've made the right choice with Diamond Edge Realty and Development LLC Jonathan Lacombe President. "I wanted to take a few minutes to write and let you know how pleased Joe and I are with the house you built for us. Right from the beginning, you were straightforward, honest, and very affable. You answered all our questions and returned our phone calls right away. As an interior designer, I deal with builders on occasion and have never come across one your integrity and commitment to doing a fantastic job. I was also impressed with the pace of the job, there never seemed to be any down time on my house. Every day we visited the sight there was always something going on. I was shocked when the house was completed one week before the expected date - that is unheard of in the building industry. Thank you again for making this experience stress free. We could not have found a better builder and if we ever move again you will be the only person we call to build our next house"
"Dear Jon, Now that we are living in our beautiful new house, we wanted to take the time this opportunity to tell you how pleased we are. From the onset, communication with our builder was a top priority. We would like to thank you for the service and advice from the beginning of our home buying ecperience."